Welcome to our Three Towns Theatre Company website. We are the only one remaining longest established group still performing solely in the Medway Towns, having started back in 1928 as The Chatham Amateur Operatic Society before changing our name after careful consideration to Three Towns Theatre Company in 1985. 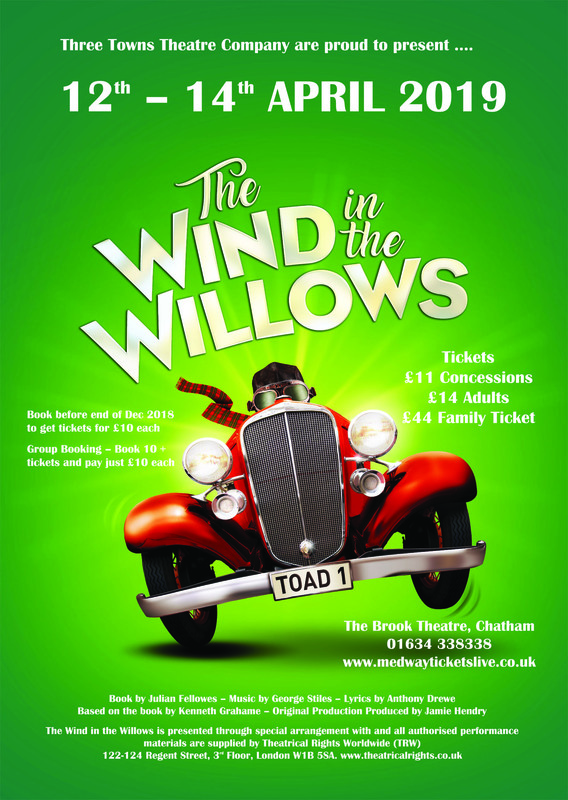 We now enjoy spending our leisure time rehearsing and performing musicals at The Brook Theatre in Chatham and other murder mystery plays in Upchurch. 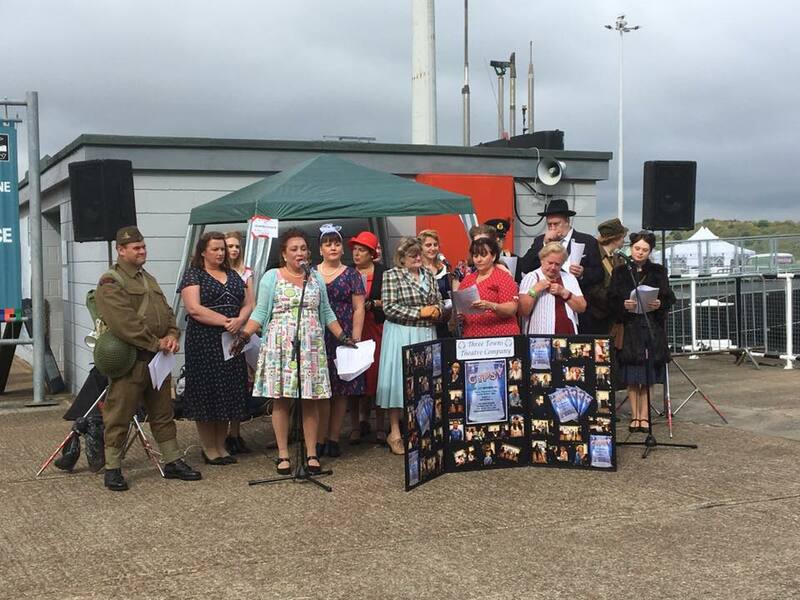 We are always invited to Rochester where we take part in Dickensian events during the year and The Chatham Dockyard where we sing memorable songs of the war during their 1940s weekend. Some of our shows and successes include Sweeney Todd, Beauty And The Beast, Fiddler On The Roof, South Pacific, Annie, The Addams Family Musical, Copacabana and Sunset Boulevard. We were the first local company to perform the musical Anything Goes after its very successful West End run and we were the first to produce The Addams Family Musical and Sunset Boulevard in the Medway Towns. We are always looking to increase our membership, whether you are interested in the singing and acting or just as important – willing to help backstage – there is always plenty to do! Whatever you enjoy doing you will be very welcome. If you prefer to just support us but not get involved, then you can become a Friend and get free tickets each year of your membership. We have gained NODA awards for Fiddler on the Roof and Annie!!! Which we and our casts are very proud of.